The last few days have been busy for Virgin Voyages with construction milestones and the revealing of Scarlet Lady as the name for the first Virgin cruise ship. The cruise line has also posted a new video showcasing how the ship will look once completed. When we first saw Virgin Voyages post this stunning new video we just had to share it with Cruise Hive readers. The video is new and is a 3D rendering of Scarlet Lady as she sails at sea. We get to see many angles of the ship not seen before and impressive views of some of the onboard spaces which have already been revealed here. The ship name was announced just days ago as another “ship tease” from the cruise line. The name represents the mermaid livery on the hull and showcasing women in power to all the cruise destinations she’ll sail to. 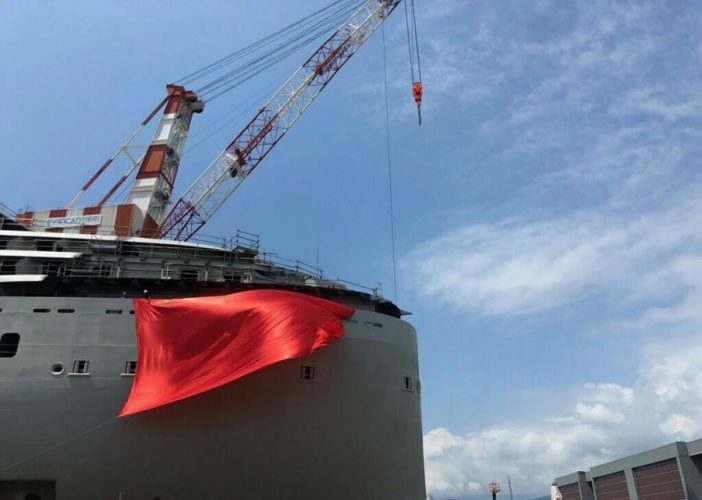 The ship is currently under construction at the Fincantieri shipyard in Genoa, Italy and the ship is now in fact around 40 percent complete. The large blocks are coming to together in complex logistical operations but soon we’ll see Scarlet Lady and her mermaid livery as one. One of the large sections include the four engines which generate 65,000 horsepower. The cruise line also celebrated the first steel cutting of the identical second Virgin cruise ship which will arrive in 2021. 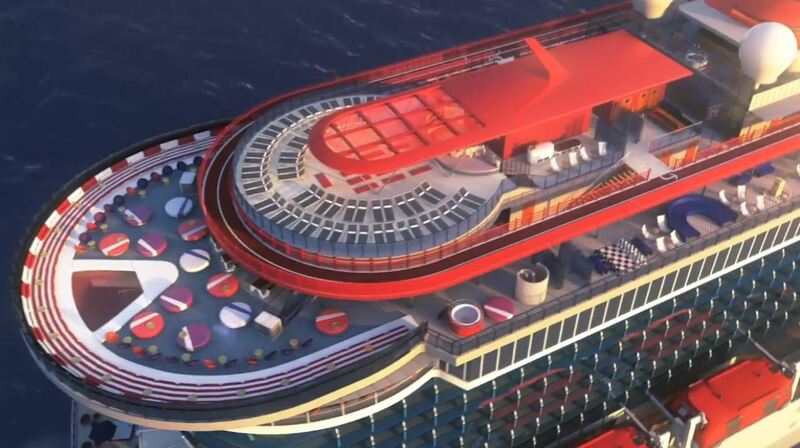 Scarlet Lady will be an adults-only ship and once delivered will be able to carry 2,700 guests at 110,000 gross tons. The ship will sail 7-day Caribbean cruises out of Miami, Florida. Virgin is not following the trend of larger mega ships and instead will offer a new way of cruising so do keep following as further details are released in the coming months.